There are many popular stock photo website on the internet you can start earning from. These sites accept the photos of both amateurs and professionals alike. 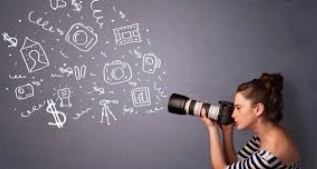 If you’re an amateur photographer, sites like Dreamstime, Shutterstock amd iStock photos are good for you. But if you’re a professional photographer and you’re confident of your skills, you should check out Getty Images or Corbis. This is one of the most famous stock photo sites in the world. Shutterstock allows you to determine the rights on your photos so that your rights can be protected, and also gives you credit for the photos you upload. Run by Adobe, Fotolia has been in existence for over 10 years and is one of the earliest photo-selling websites. When you upload your photos to Fotolia, they become part of Adobe stock so that they are available in Adobe applications. This makes it easier for buyers to make purchase. This stock photo site allows you to integrate your blog or social media account so any photo you upload can easily appear on the website for purchase. BlueMelon also provides several options through which you can choose to be paid. Does the idea of keeping to rules freak you out? If yes, Alamy is probably the site for you. On the website, you get to upload your photos easily because the rules are few compared to other stock sites. They are one of the best online places to sell your photos. This website has a mobile app so you can easily upload photos from your phone. Once they review and approve your photos, it goes live for sale. If you want simplicity, 123rf is your best bet! This website is a premium stock photo platform where only hard-to-find and exclusive images sell best. This is the preferred go-to site for top brands and publishers and thus generates higher commissions than other sites. iStock is owned by Getty images with less stringent rules. Share if you know of any other sites.